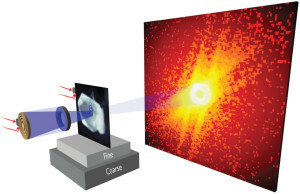 While using X-rays generated by the Advanced Light Source (ALS), a synchrotron facility at the Department of Energy’s Lawrence Berkeley National Laboratory (Berkeley Lab), to study a bismuth-containing thermoelectric material that can convert heat into electricity, physicist M. Zahid Hasan of Princeton University saw that something was interfering with the anticipated view of electrons’ behavior inside the material. Knowing how electrons move within this material was sought as a key to decipher how it worked, so this interference—which he and his team observed more than a decade ago during an experiment employing an X-ray-based technique dubbed ARPES (angle-resolved photoemission spectroscopy)—was a problem … at first. “Since 2004, I was involved with this research looking for a better understanding of bismuth-based thermoelectric materials, among other things,” said Hasan. Around 2007, after completing more X-ray experiments at the ALS and other synchrotrons, and after gaining some understanding of the theory related to his team’s observations, it would become clear to Hasan that this obstruction was actually a discovery: One that would spark a revolution in materials research that continues today, and that could eventually lead to new generations of electronics and quantum technologies. Topological matter research is now a flourishing field of research at the ALS, with several staff members devoted to supporting X-ray techniques that largely focus on its properties. They discussed theoretical work, some of it dating back several decades, that had explored bizarre and resilient “topological” states in which electrons could move about the surface of a thin material with next to no resistance—like in a traditional superconductor but with a different mechanism. The theoretical work provided little clue in how to find the effects in the materials exhibiting this phenomenon, though. So Hasan set out on a path that crossed into the fields of quantum theory, particle physics, and complex mathematics. What helped bring that “toy model” to life were later theories by Kane and collaborators, and innovative ARPES studies at the ALS and other synchrotrons that directly probed exotic topological states in some materials. Synchrotrons like the ALS have dozens of beamlines that produce focused X-rays and other types of light beams for a variety of experiments that explore the properties of exotic materials and other samples at tiny scales, and ARPES provides a window into materials’ electron properties. The Nobel Committee, in its supporting materials for the prize, had cited early experiments by Hasan’s team at the ALS on materials exhibiting topological insulator phases. A topological insulator acts like an electrical conductor on the surface and an insulator (with no electrical flow) inside. Hasan’s work provided an early demonstration of a 3-D topological insulator, for example. In these materials, the electron motion is relatively robust, and is immune to many types of impurities and deformities. Researchers have found examples of topological properties in materials even at room temperature. This is a critical advantage over so-called high-temperature superconductors, which must be chilled to extreme temperatures in order to achieve a nearly resistance-free flow of electrons. With topological materials, the electrons exhibit unique patterns in a property known as electron spin that is analogous to a compass needle pointing up or down, and this property can change based on the electron’s path and position in a material. One potential future application for the spin properties of electrons in topological materials is spintronics, an emerging field that seeks to control the spin on demand to transmit and store information, much like the zeroes and ones in traditional computer memory. Spin could also be harnessed as the information carriers in quantum computers, which could conceivably carry out exponentially more calculations of a certain type in a shorter time than conventional supercomputers. Jonathan Denlinger, a staff scientist in the Scientific Support Group at the ALS, said the breakthrough studies on materials with topological behavior led to a rapid shift in focus on materials’ surface properties. Researchers had historically been more interested in electrons within the “bulk,” or inside of materials. Hasan’s group used three ALS beamlines—MERLIN, 12.0.1, and 10.0.1—in pioneering ARPES studies of topological matter. Hasan was a co-leader on the proposal that led to the construction of MERLIN in the early 2000s. 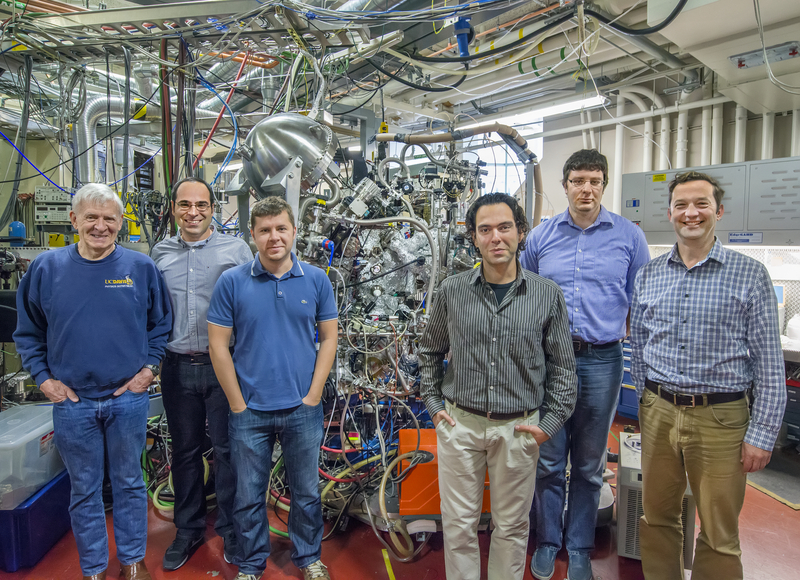 Denlinger, and fellow ALS staff scientists Alexei Fedorov and Sung-Kwan Mo, work at these ALS beamlines, which specialize in ARPES and a related variant called spin-resolved photoelectron spectroscopy. The techniques can provide detailed information about how electrons travel in materials and also about the electrons’ spin orientation. The quest for discoveries of new topological matter at the ALS will also be boosted by a beamline known as MAESTRO (Microscopic and Electronic Structure Observatory) that opened to users last year and will help visualize exotic ordered structures formed in some topological materials. “ALS-U, a planned upgrade of the ALS, should improve and enhance topological matter studies using the ALS,” Mo said. “It will allow us to focus down to a very small spot,” which could reveal more detail in the electron behavior of topological matter. Improved X-ray performance could help identify some topological materials that were previously overlooked, and to better distinguish and classify their properties, Hasan said. Hasan’s early work in topological matter, including topological insulators, led him to the detection of a previously theorized massless particle known as the Weyl fermion in topological semimetals, and he is now devising a related experiment that he hopes will mimic the period of the early universe in which particles began to take on mass. Denlinger, Fedorov, and Mo are gearing up for more studies of topological matter, and are reaching out to possible collaborators across Berkeley Lab and the global scientific community. Nanoscale materials show a lot of promise for topological materials applications, and thermoelectrics—those same materials that can transfer heat to electricity and vice versa, and that led to the first realization of topological matter in X-ray experiments—should see performance gains in the short term thanks to the feverish pace of R&D in the field, Fedorov noted. Hasan, too, said he is excited about progress in the field. “We are in the middle of a topological revolution in physics, for sure,” he said. The Advanced Light Source (ALS) is a DOE Office of Science User Facility. Operation of ALS and this work is supported by the DOE Office of Science. The Mars Science Laboratory (MSL) spacecraft that landed the Curiosity rover on Mars endured the hottest, most turbulent atmospheric entry ever attempted in a mission to the Red Planet. The saucer-shaped MSL was protected by a thin, lightweight carbon fiber-based heat-shield material that was a bit denser than balsa wood. The same material, dubbed PICA (Phenolic Impregnated Carbon Ablator), also protected NASA’s Stardust spacecraft as it returned to Earth after collecting comet and space dust samples in 2006. It is based on a family of materials that was recognized by the space agency as its Invention of the Year in 2007. SpaceX, a NASA-contracted private company that delivers cargo to the International Space Station, has since adapted the PICA material for its Dragon space capsule. While traditional heat shields form a rigid structure, NASA Ames Research Center (NASA ARC) in Moffett Field, California, which developed the PICA material, is now developing a new family of flexible heat-shield systems that uses a woven carbon-fiber substrate, or base material. This material’s heat-resistance and structural properties can be fine-tuned by adjusting the weaving techniques. In addition, the flexible nature of woven materials can accommodate the design of large-profile spacecraft capable of landing heavier payloads, including human crews. The new flexible heat-shield system, called ADEPT (Adaptive Deployable Entry and Placement Technology), would be stowed inside the spacecraft and deployed like an umbrella prior to atmospheric entry. Supported by an array of sturdy metallic struts, the ADEPT system could also serve to steer the spacecraft during descent. Unlike the reusable ceramic tiles used on NASA’s space shuttles to survive reentry from low-Earth orbit, the lighter PICA and woven carbon materials are designed for single use, protecting their payload while they slowly burn up during the rigors of atmospheric entry. That’s why it’s critical to ensure through testing, simulation, and analysis, that heat-shield materials can survive long enough to protect the spacecraft during high-speed entry into a planet’s atmosphere. To understand performance of the system at the microscopic scale, NASA research scientists are conducting X-ray experiments at Lawrence Berkeley National Laboratory (Berkeley Lab) to track a material’s response to extreme temperatures and pressures. How a sample of woven carbon-fiber material degrades over five minutes during heating in an increasingly dense simulated atmosphere. During an actual atmospheric entry at Mars, there is substantial heat load on the shielding material, with surface temperatures approaching 4,000 degrees Fahrenheit. “We are developing methods for recreating those sorts of conditions, and scanning materials in real time as they are experiencing these loads and transitions,” Barnard said. A test platform now in development uses a pneumatic piston to stretch the material, in combination with heat and gas-flow controls, to simulate entry conditions. The work at the ALS has already produced some promising results that show how present-day and next-generation heat-shield materials, including woven carbon fibers for flexible heat shields, gradually decompose in simulated atmospheric entry conditions. More experiments are planned to study different weave arrangements and material types. “You can really see a lot of details” in the ALS images, Panerai said, which were produced using a technique called microtomography. “You can see clusters of fibers, and you can see that the fibers are hollow.” The fibers in the studies are less than one-tenth the width of a human hair. He added, “It’s very complex to reproduce velocity and temperature at the same time in physical experiments. The ALS allows us to reproduce similar conditions to entry—very high temperatures, and we can watch how flow moves inside materials.” The work could benefit future missions to Mars, Saturn, and Venus, among others. Joseph C. Ferguson, a researcher with Science and Technology Corp. at NASA ARC, led the development of a software tool called PuMA (Porous Materials Analysis) that can extract information about a material’s properties from the ALS X-ray imaging data, including details about how porous a material is, how it conducts heat, and how it decomposes under entry conditions. All of these characteristics factor into a material’s ability to protect a spacecraft. NASA developers have made this software tool available to other experimenters at the ALS for other applications. Barnard said the NASA work has pushed ALS researchers to develop faster microtomography imaging methods that capture how materials respond over time to stress. Dula Parkinson, a research scientist who works with Barnard at the ALS on microtomography experiments, said the faster imaging speeds, which can produce about 2,000 frames per second, are generating a high volume of data. The ALS draws on resources from Berkeley Lab’s Center for Advanced Mathematics for Energy Research Applications (CAMERA), which assists with image processing and algorithms for visualizing the X-ray data, and also from Berkeley Lab’s National Energy Research Scientific Computing Center (NERSC). NASA ARC researchers also tap into ALS-produced data via the Energy Sciences Network (ESnet), a high-bandwidth data network managed by Berkeley Lab that connects research facilities and supercomputer centers. NASA scientists use NASA ARC’s Pleiades, one of the world’s most powerful supercomputers, to perform analysis and simulations on data generated at the ALS. “Supercomputing is very important in this effort,” Panerai said. “One of the areas we will explore is to try to predict the properties of a virtual material” based on what is learned from X-ray experiments and computer modeling of existing materials. They started with the smallest possible diamondoids – single cages that contain just 10 carbon atoms – and attached a sulfur atom to each. Floating in a solution, each sulfur atom bonded with a single copper ion. This created the basic nanowire building block. both DOE Office of Science User Facilities. The work was funded by the DOE Office of Science and the German Research Foundation. In a development that holds promise for future magnetic memory and logic devices, researchers with the U.S. Department of Energy (DOE)’s Lawrence Berkeley National Laboratory (Berkeley Lab) and Cornell University successfully used an electric field to reverse the magnetization direction in a multiferroic spintronic device at room temperature. This demonstration, which runs counter to conventional scientific wisdom, points a new way towards spintronics. and smaller, faster and cheaper ways of storing and processing data. 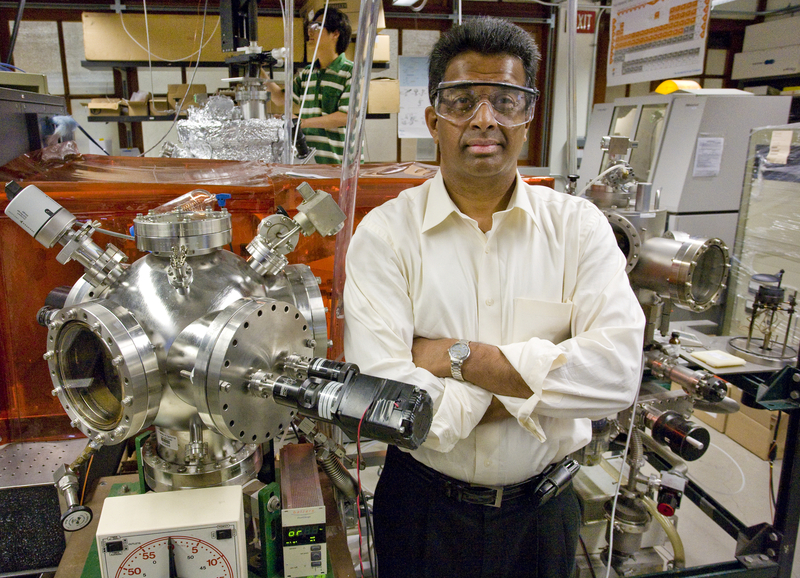 Ramesh, who also holds the Purnendu Chatterjee Endowed Chair in Energy Technologies at the University of California (UC) Berkeley, is the senior author of a paper describing this research in Nature. The paper is titled Deterministic switching of ferromagnetism at room temperature using an electric field. 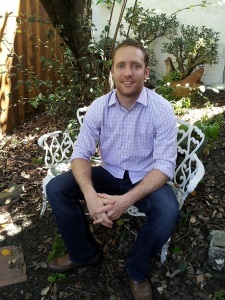 John Heron, now with Cornell University, is the lead and corresponding author. (See below for full list of co-authors). “Having made devices and done on/off switching with in-plane electric fields in the past, it was a natural extension to study what happens when an out-of-plane electric field is applied,” Ramesh says. Ramesh, Heron and their co-authors set up a theoretical study in which an out-of-plane electric field – meaning it ran perpendicular to the orientation of the sample – was applied to bismuth ferrite films. 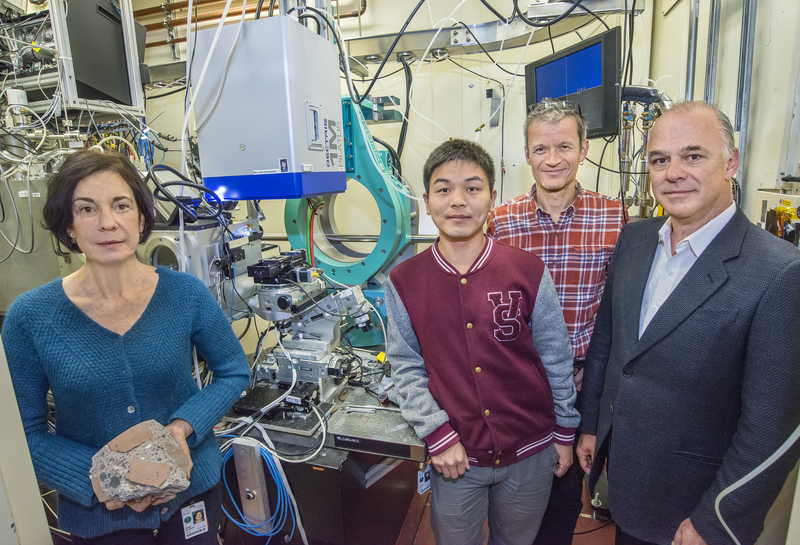 They discovered a two-step switching process that relies on ferroelectric polarization and the rotation of the oxygen octahedral. John Heron is the lead author of a Nature paper describing the switching of ferromagnetism at room temperature using an electric field. To demonstrate the potential technological applicability of their technique, Ramesh, Heron and their co-authors used heterostructures of bismuth ferrite and cobalt iron to fabricate a spin-valve, a spintronic device consisting of a non-magnetic material sandwiched between two ferromagnets whose electrical resistance can be readily changed. X-ray magnetic circular dichroism photoemission electron microscopy (XMCD-PEEM) images showed a clear correlation between magnetization switching and the switching from high-to-low electrical resistance in the spin-valve. The XMCD-PEEM measurements were completed at PEEM-3, an aberration corrected photoemission electron microscope at beamline 11.0.1 of Berkeley Lab’s Advanced Light Source. “We also demonstrated that using an out-of-plane electric field to control the spin-valve consumed energy at a rate of about one order of magnitude lower than switching the device using a spin-polarized current,” Ramesh says. In addition to Ramesh and Heron, other co-authors of the Nature paper were James Bosse, Qing He, Ya Gao, Morgan Trassin, Linghan Ye, James Clarkson, Chen Wang, Jian Liu, Sayeef Salahuddin, Dan Ralph, Darrell Schlom, Jorge Iniguez and Bryan Huey. No visit to Rome is complete without a visit to the Pantheon, Trajan’s Markets, the Colosseum, or the other spectacular examples of ancient Roman concrete monuments that have stood the test of time and the elements for nearly two thousand years. 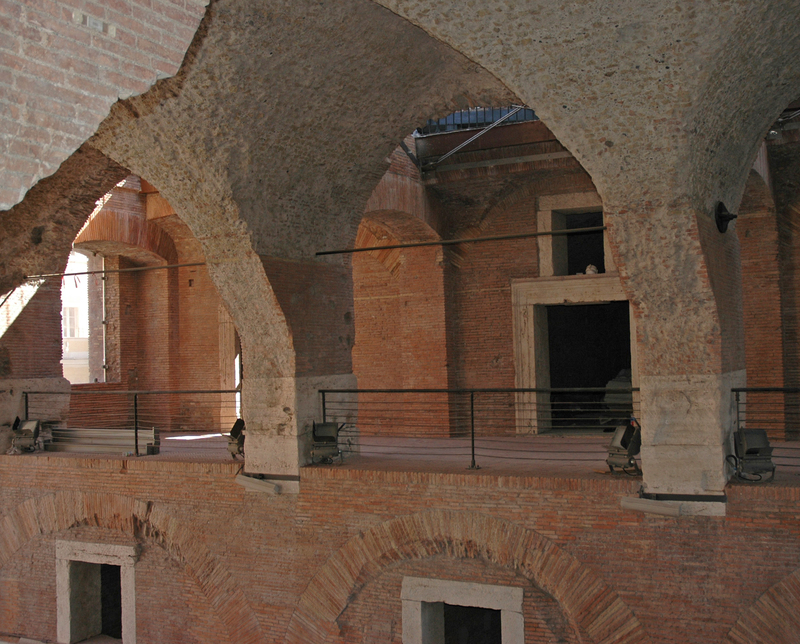 A key discovery to understanding the longevity and endurance of Roman architectural concrete has been made by an international and interdisciplinary collaboration of researchers using beams of X-rays at the Advanced Light Source (ALS) of the U.S. Department of Energy (DOE)’s Lawrence Berkeley National Laboratory (Berkeley Lab). Working at ALS beamline 12.3.2, a superconducting bending magnet X-ray micro-diffraction beamline, the research team studied a reproduction of Roman volcanic ash-lime mortar that had been previously subjected to fracture testing experiments at Cornell University. In the concrete walls of Trajan’s Markets, constructed around 110 CE, this mortar binds cobble-sized fragments of tuff and brick. Through observing the mineralogical changes that took place in the curing of the mortar over a period of 180 days and comparing the results to 1,900 year old samples of the original, the team discovered that a crystalline binding hydrate prevents microcracks from propagating. Jackson, a volcanologist by training who led an earlier study at the ALS on Roman seawater concrete, is the lead author of a paper describing this study in the Proceedings of the National Academy of Sciences (PNAS) titled Mechanical Resilience and Cementitious Processes in Imperial Roman Architectural Mortar. Co-authors of the paper are Eric Landis, Philip Brune, Massimo Vitti, Heng Chen, Qinfei Li, Martin Kunz, Hans-Rudolf Wenk, Paulo Monteiro and Anthony Ingraffea. 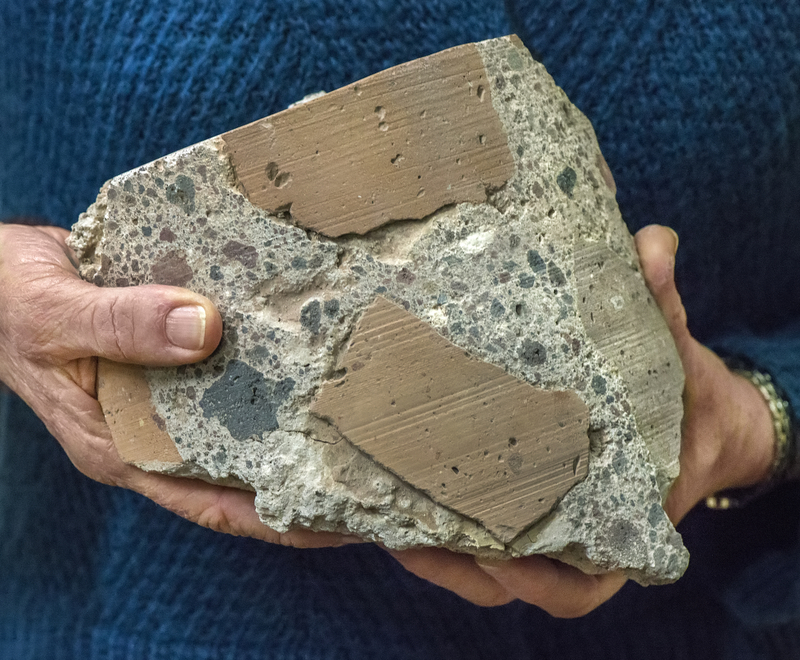 “If we can find ways to incorporate a substantial volumetric component of volcanic rock in the production of specialty concretes, we could greatly reduce the carbon emissions associated with their production also improve their durability and mechanical resistance over time,” Jackson says. The fracture testing experiments at Cornell University were led by co-author Ingraffea. The samples of mortar from Trajan’s Markets were provided by co-author Vitti and the Sovrintendenza Capitolina di Roma Capitale. Co-author Kunz is the principal scientist at ALS beamline 12.3.2. This research was supported by the National Science Foundation and the Loeb Library at Harvard University. The Advanced Light Source is a DOE Office of Science User Facility. Researchers working at the Advanced Light Source (ALS) of the U.S. Department of Energy (DOE)’s Lawrence Berkeley National Laboratory (Berkeley Lab) have combined key features of two highly acclaimed X-ray spectroscopy techniques into a new technique that offers sub-nanometer resolution of every chemical element to be found at heterogeneous interfaces, such as those in batteries and fuel cells. 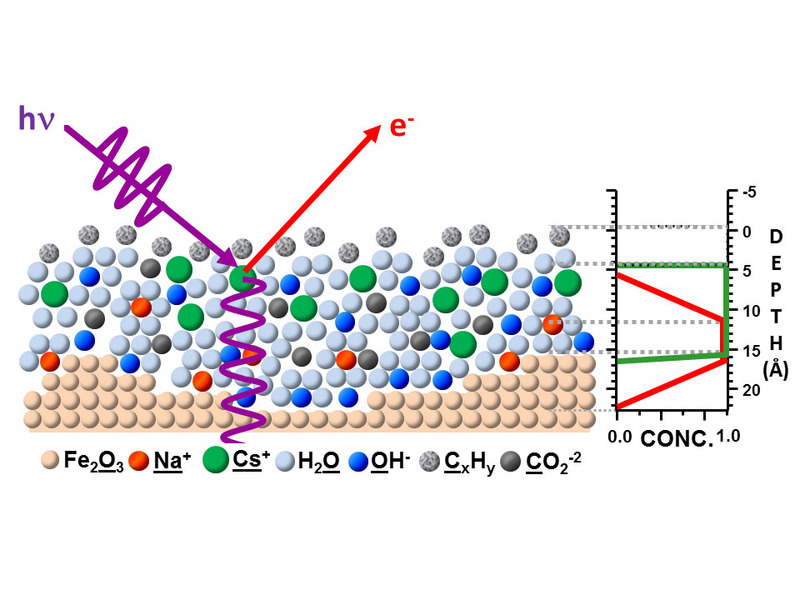 This new technique is called SWAPPS for Standing Wave Ambient Pressure Photoelectron Spectroscopy, and it combines standing-wave photoelectron spectroscopy (SWPS) with high ambient pressure photoelectron spectroscopy (APPS). By utilizing X-ray standing waves to excite photoelectrons, SWAPPS delivers vital information about all the chemical elements at the heterogeneous interfaces found in batteries, fuel cells and other devices. Fadley is one of three corresponding authors of a paper describing SWAPPS in Nature Communications. The paper is titled Concentration and chemical-state profiles at heterogeneous interfaces with sub-nm accuracy from standing-wave ambient-pressure photoemission. The other two corresponding authors are Hendrik Bluhm, with Berkeley Lab’s Chemical Sciences Division, a pioneer in the development of APPS, and Slavomír Nemšák, now with Germany’s Jülich Peter Grünberg Institute. (See below for the complete list of authors). In terms of energies and wavelengths, X-rays serve as excellent probes of chemical processes. In the alphabet soup of X-ray analytical techniques, two in particular stand out for the study of chemistry at the interface where layers of two different materials or phases of matter meet. The first is SWPS, developed at the ALS by Fadley and his research group, which made it possible for the first time to selectively study buried interfaces in a sample with either soft or hard X-rays. The second is APPS, also developed at the ALS by a team that included Bluhm, which made it possible for the first time to use X-ray photoelectron spectroscopy under pressures and humidities similar to those encountered in natural or practical environments. 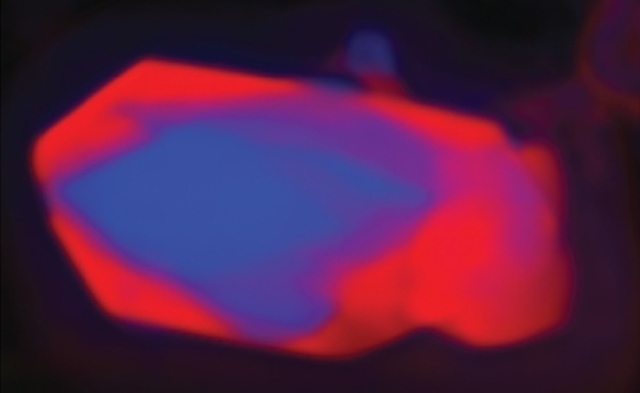 Fadley, Bluhm, Nemšák and their collaborators used their SWAPPS technique to study a model system in which a nanometer layer of an aqueous electrolyte of sodium hydroxide and cesium hydroxide was grown on an iron oxide (hematite) solid. The spatial distributions of the electrolyte ions and the carbon contaminants across the solid/liquid and liquid/gas interfaces were directly probed and absolute concentrations of the chemical species were determined. The observation of binding-energy shifts with depth provided additional information on the bonding and/or depth-dependent potentials in the system. SWAPPS measures the depth profiles of chemical elements with sub-nanometer resolution in the direction perpendicular to the interface, utilizing an X-ray standing wave field that can be tailored to focus on specific depths, i.e., near the surface or near the iron oxide interface. SWAPPS measures the depth profiles of chemical elements with sub-nanometer resolution in the direction perpendicular to the interface utilizing an X-ray standing wave field that can be tailored to focus on specific depths, i.e., near the surface or near the iron oxide interface. A key to the success of this study was the use of X-ray standing waves to excite the photoelectrons. A standing wave is a vibrational pattern created when two waves of identical wavelength interfere with one another: one is the incident X-ray and the other is the X-ray reflected by a mirror. Interactions between standing waves and core-level electrons reveal much about the depth distributions of each chemical species in a sample. 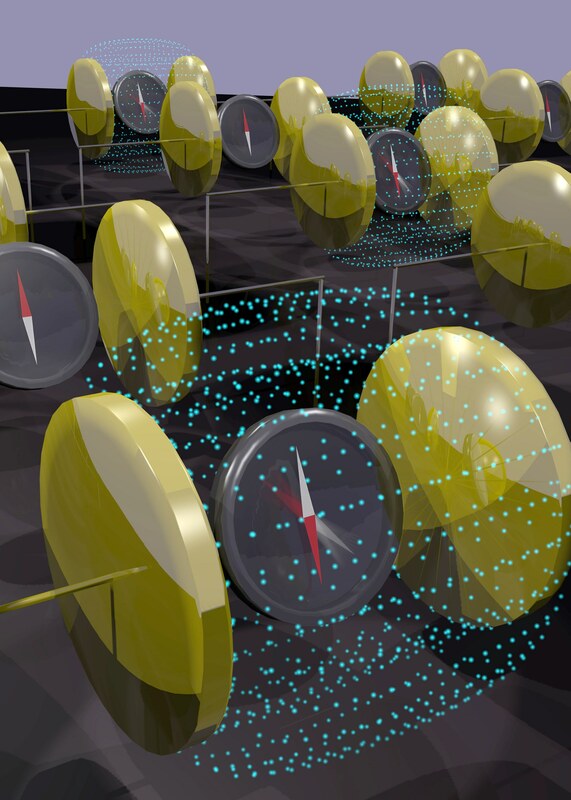 In their Nature Communications paper, the authors say that future time-resolved SWAPPS studies using free-electron laser or high-harmonic generation light sources would also permit, via pump-probe methods, looking at the timescales of processes at interfaces on the femtosecond time scale. “The range of future applications and measurement scenarios for SWAPPS is enormous,” Fadley says. 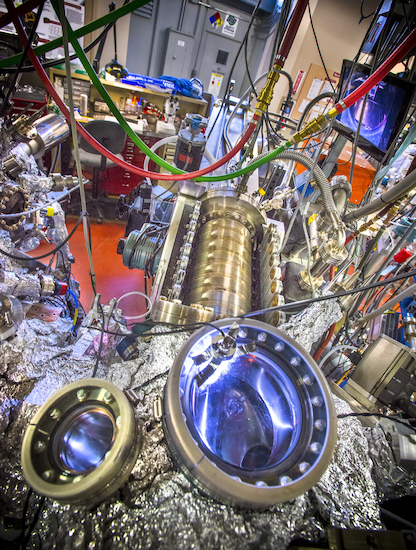 This work was carried out at ALS Beamline 11.0.2, which is operated by Berkeley Lab’s Chemical Sciences Division and hosts two ambient-pressure photoemission spectroscopy endstations. In addition to Fadley, Bluhm and Nemšák, other authors of the Nature Communications paper describing SWAPPS were Andrey Shavorskiy, Osman Karslioglu, Ioannis Zegkinoglou, Peter Greene, Edward Burks, Arunothai Rattanachata, Catherine Conlon, Armela Keqi, Farhad Salmassi, Eric Gullikson, See-Hun Yang and Kai Liu. This research was primarily funded by the DOE Office of Science. The Advanced Light Source is a DOE Office of Science User Facility. 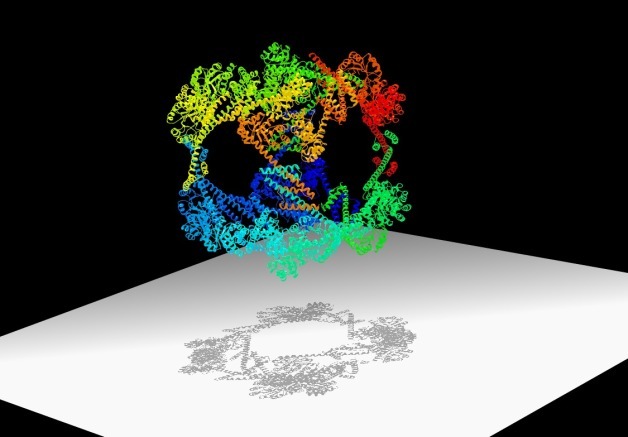 With help from Berkeley Lab’s Advanced Light Source, scientists from UCLA recently designed a cage made of proteins. The nano-sized cage could lead to new biomaterials and new ways to deliver drugs inside cells. It boasts a record breaking 225-angstrom outside diameter, the largest to date for a designed protein assembly. It also has a 130-angstrom-diameter central cavity, which is large enough to hold molecular cargo. And its high porosity is perfect for packing a lot of chemistry in a small package. More research is needed, but perhaps scientists could some day insert a cancer-fighting drug inside the cage, and tweak its exterior proteins so that it targets malignant cells. That’s one promise of the new cage. Another is the way in which it was designed. The cage is composed of specially designed “building block” proteins. When the proteins are in a solution with just the right conditions, they assemble into a hollow cube made of 24 proteins. Some of these cubes form crystals. The scientists used the Advanced Light Source, a synchrotron located at Berkeley Lab, to quickly visualize the cage in different solutions. This helped the scientists determine how to best get the cage to assemble itself. It also allowed them to see how different solutions yield cages of various geometries. They used beamline 12.3.1, also known as SIBYLS, which stands for Structurally Integrated Biology for Life Sciences. The SIBYLS beamline is optimized for the joint application of crystallography and SAXS imaging, or small-angle X-ray scattering. SAXS provides information on the shapes of large molecular assemblies in almost any type of solution. And it’s much faster than conventional protein crystallography techniques. “SAXS helped us efficiently and quickly understand the assembly processes of these protein cages. We had feedback in a matter of hours, not days” says Greg Hura, a scientist with Berkeley Lab’s Physical Biosciences Division. Hura and John Tainer of Berkeley Lab’s Life Sciences Division are co-authors of a Nature Chemistry paper that describes the protein cage. The research was led by Todd Yeates, a UCLA professor of chemistry and biochemistry. 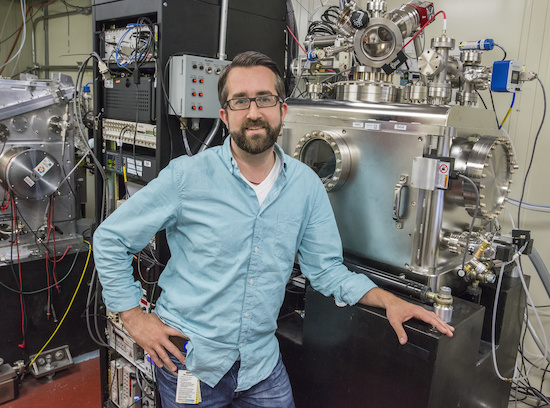 Greg Hura at the The SYBILS beamline at the Advanced Light Source, which can quickly visualize a protein assembly’s structure in almost any solution, is helping researchers design new biomaterials. SAXS made its mark elucidating the structure of proteins critical to human health, such as DNA repair machines. The technique can analyze about 100 samples in four hours. It also analyzes samples in solutions that approximate the biological conditions in which proteins are found. Hura and Tainer are now expanding SAXS’s repertoire to assist in the development of biomaterials. “The magic of proteins is they are capable of a tremendous amount of chemistry, which we can harness in advanced materials for medicine, energy, and other applications,” says Hura, who helped optimize SAXS for high-throughput use. The technique could be especially useful in helping to integrate the nanoscale properties of individual proteins into large complexes that perform useful functions. For example, Hura envisions using SAXS to develop protein assemblies that act as highly efficient catalysts, complete with millions of points that interact with a substance of choice. “We are keenly interested in the rules for assembly at these nanoscales, since many alternative and valuable designs are currently being explored,” says Hura. For the UCLA-developed protein cage, SAXS helped the scientists develop an annealing process that yielded crystal structures of the cage in eight hours. Before, it took several months for crystals to form. SAXS also enabled the team to analyze the protein cages under real-world physiological conditions, such as the pH levels found inside cells, and see how these conditions affected the cages’ properties. “The technique allows the direct visualization of a structure’s flexibility and variability in solution, which will help improve the design of protein cages and other biomaterials,” says Hura. In ptychography (pronounced tie-cog-raphee), a combination of multiple coherent diffraction measurements is used to obtain 2D or 3D maps of micron-sized objects with high resolution and sensitivity. Because of the sensitivity of soft x-rays to electronic states, ptychography can be used to image chemical phase transformations and the mechanical consequences of those transformations that a material undergoes. Advanced Light Source at LBL. Who hasn’t been amazed by the beauty and wild colors of bird feathers? Yet the diverse range of colors seen across the animal kingdom is made possible by surprisingly few molecular building blocks. It is these molecules, referred to collectively as melanins, that are understood to provide the pigmentation that confers color to animal skin, hair, and feathers. So, how is nature able to achieve such a wide variety of colors with so few components? Recent work at the ALS by Musahid Ahmed, Shirley Liu, Tyler Troy, and Dula Parkinson in collaboration with Matt Shawkey (University of Akron), have found that is the proportions in which these molecular components come together that makes all the difference. In their experiments, melanin samples extracted from a variety of bird plumage were gently vaporized by a laser under high-vacuum conditions. The sample vapor is then exposed to synchrotron radiation, causing the molecules to lose an electron to form a charged ion which is then detected by the beamline’s mass spectrometer. During this process however, some ions fall apart to form many smaller pieces which are also detected, making it difficult to determine what each mass peak represents. As a result, a computer algorithm was developed to interpret and categorize the mass spectra matching specific patterns to the color of the sampled bird feather. The algorithm can now be applied to samples for which the plumage color is unknown. Peak probability contrasts (PPC) analysis projected onto three dimensions for black, brown, grey, and peacock (green) feathers. Where relevant, red arrows indicate the pigment extraction location. In addition to deciphering the chemical structures of melanin, this work will help paleontologists to derive the colors and patterns of furs, feathers, and skins of ancient beasts using only their fossil remains.